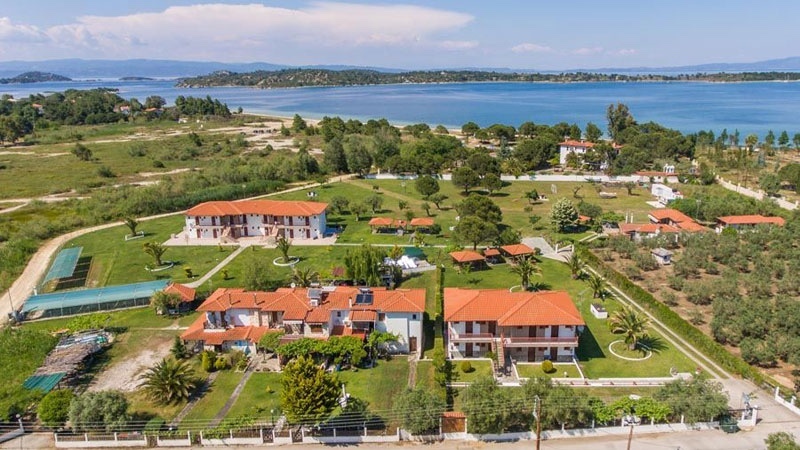 Anna’s Studios in Vourvourou, Halkidiki is located in quiet surroundings. 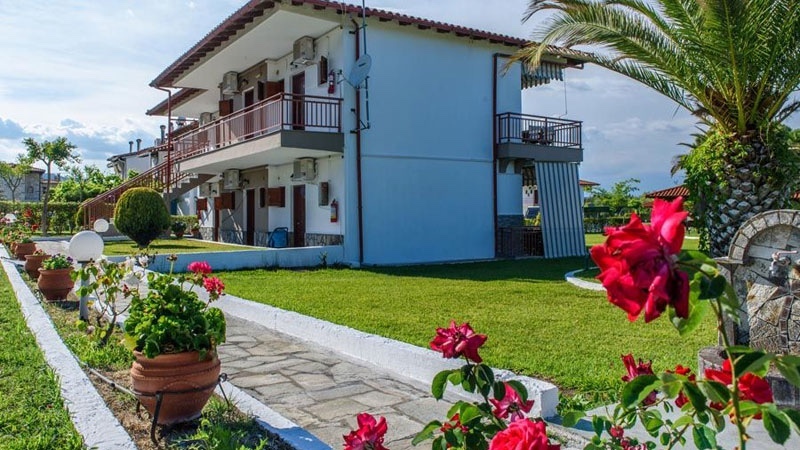 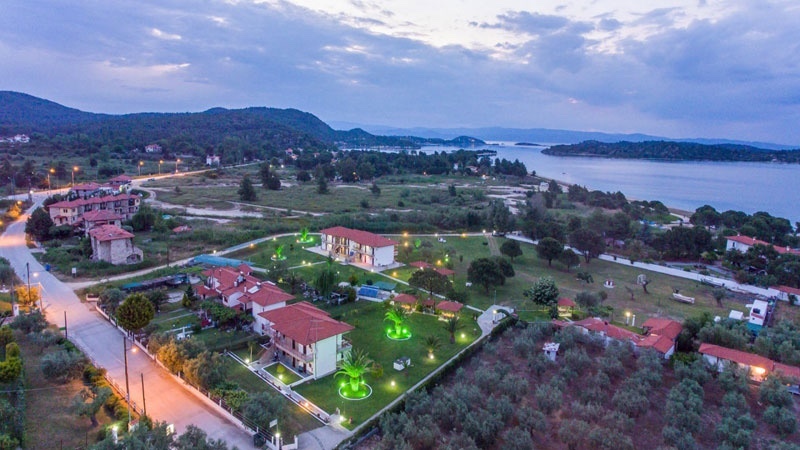 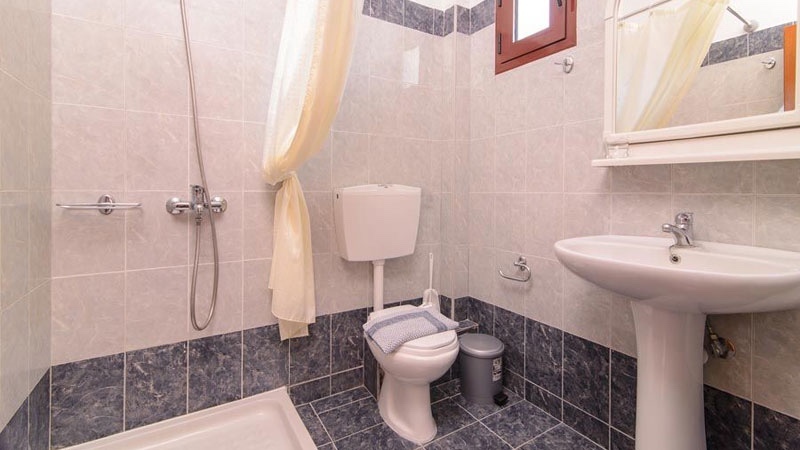 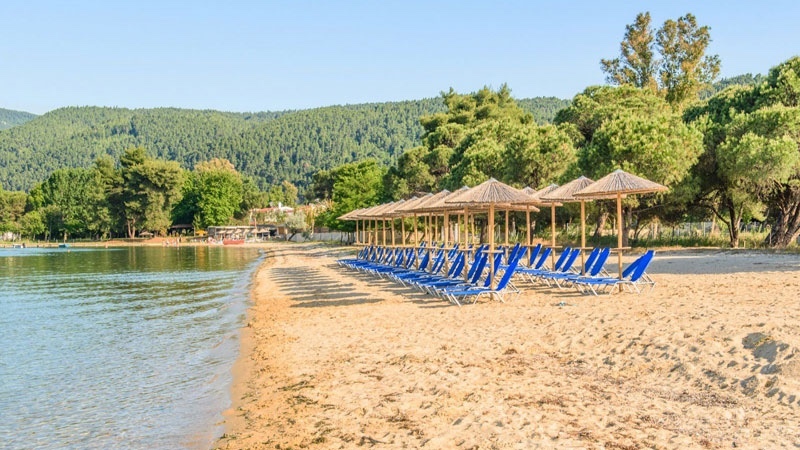 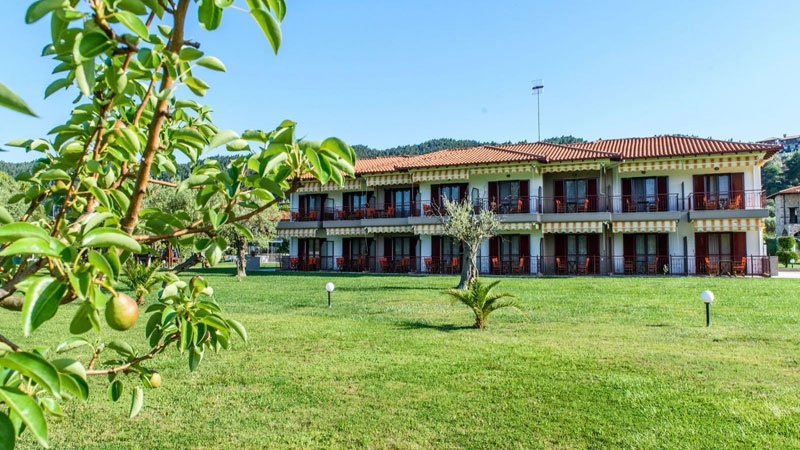 The facility is just 100 m from the beautiful sandy beaches that the Sithonia peninsula is famous for and close to the pine covered Sithonia mountains where you can enjoy scenic hiking. 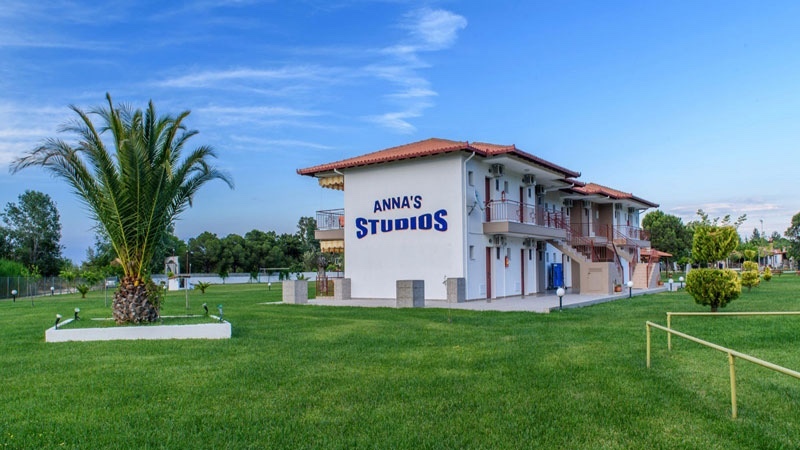 Anna’s Studios has a 14000 sqm garden where guests can play football, basketball and many other activities. 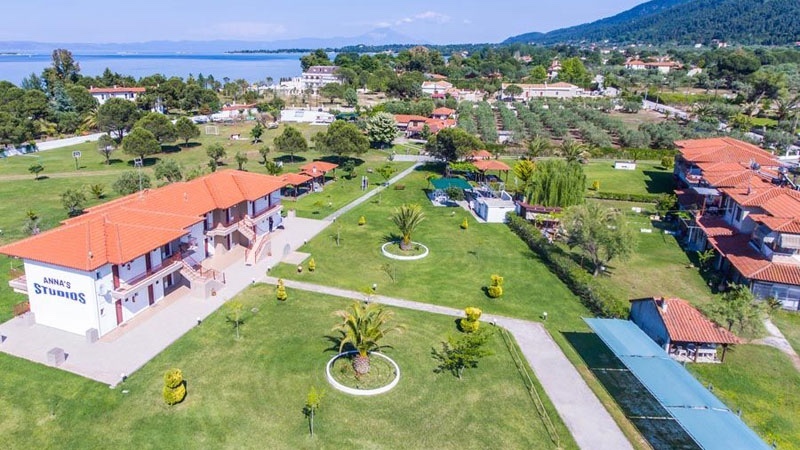 There is a children’s playground and also several barbecue locations. 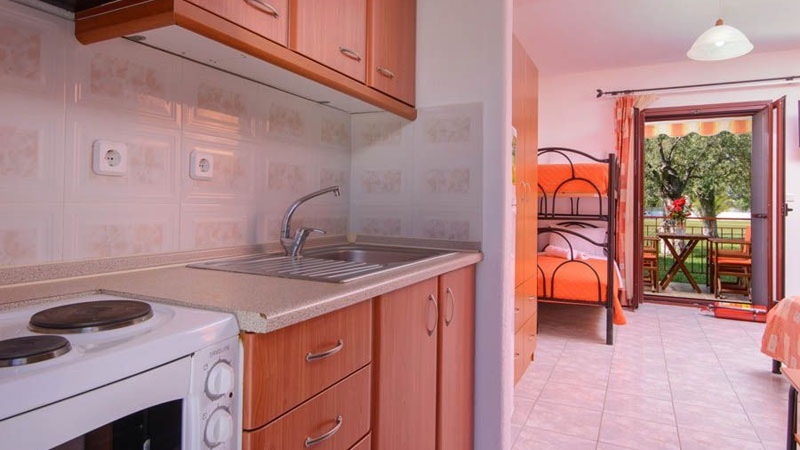 Parking is free as is WiFi internet. 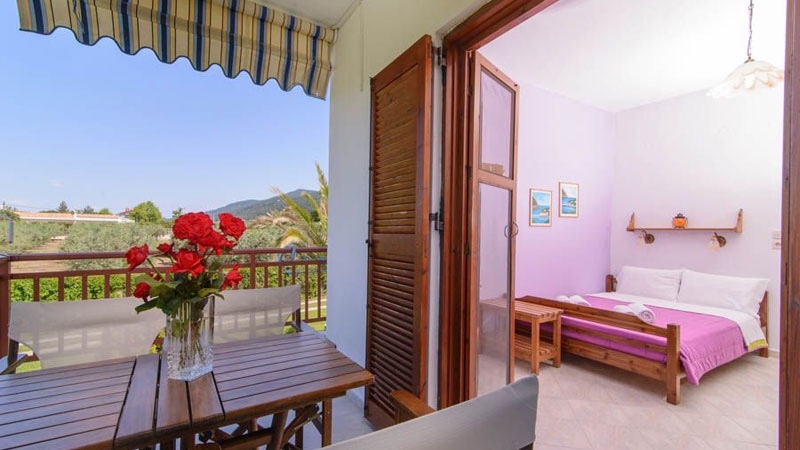 The studios come equipped with TV, air conditioning, bathroom, fully equipped kitchen, and a balcony with a sea view. 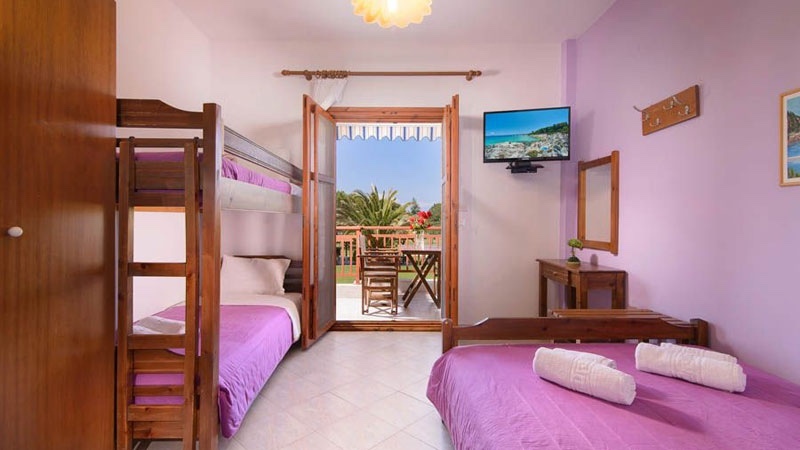 The family studios have a double bed with a bunk bed for the children. 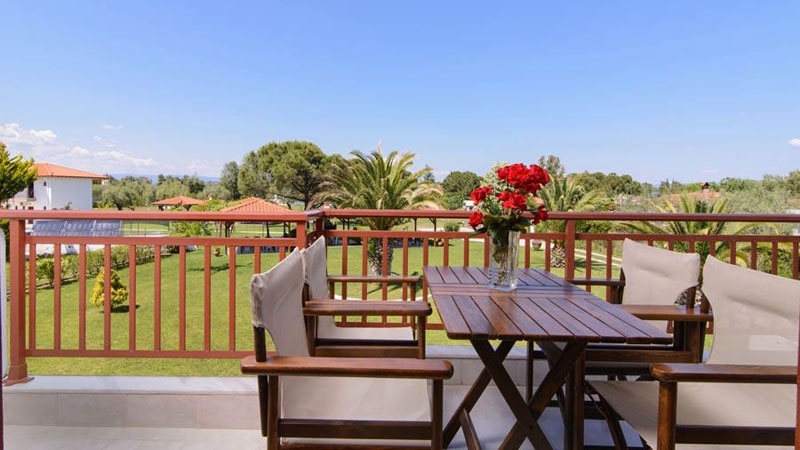 In close proximity to Anna’s Studios are restaurants, supermarkets and shops where you can get the necessary things for enjoying your holidays. 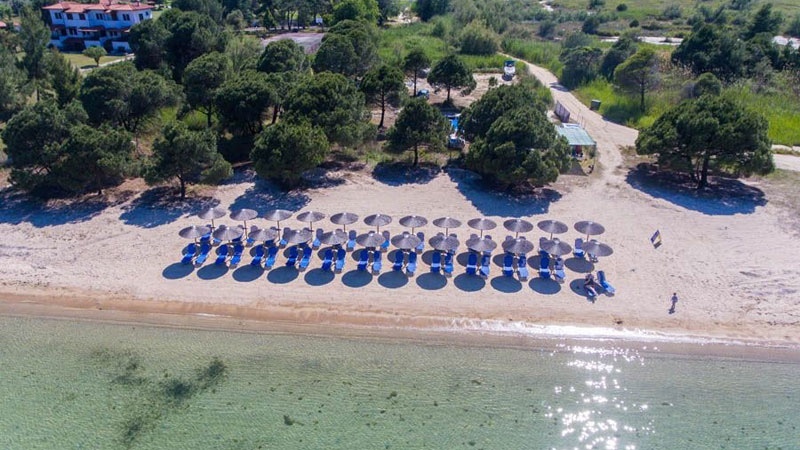 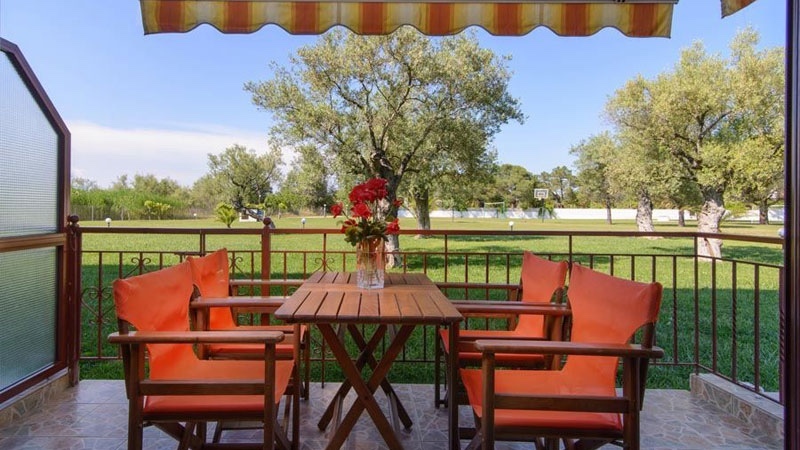 The large garden offers lots of sports options and is close to the Diaporos boat rentals.